Abdul Baseer sent the grenades and explosive vest ahead, then boarded a bus that would take him to his target, accompanied by the 14-year-old boy he had groomed as his suicide bomber. But before they could blow up their target, a luxury hotel in Lahore where they believed Americans would be staying, the two were arrested and are now in jail — Baseer unrepentant about having plotted to send a boy to his death, and the boy saying he never knew what was in store for him. 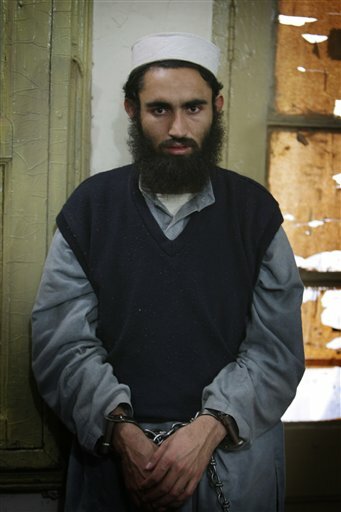 The story that unfolded in an interview with The Associated Press offers a rare insight into the world of a Pakistani militant, from his education at hard-line Islamic schools, through his professed participation in an attack on a U.S. patrol in Afghanistan, up to his arrest by Pakistani police along with the the boy, Mohi-ud-Din. His tale shares much with that of the thousands of other foot soldiers who make up the Taliban-led insurgency that is ravaging Pakistan, experts say. It also shows how the wars here and in neighboring Afghanistan bleed into each other. The Associated Press, after several requests, was allowed to interview the two detainees, with police present for most of the meeting at a police interrogation center in Lahore, a political and military power center in eastern Pakistan. Baseer was born in 1985 close to the Swat Valley, which last year was overrun by Taliban and recaptured by the Pakistanis. The eldest of seven children, his father was a wheat farmer and earned barely enough to feed the family. Meat was reserved for guests, he recalled. Like many who cannot afford a regular education, Baseer attended three Islamic boarding schools where children learn the Quran by heart and spend little time on secular subjects. The religious schools provide free board and lodging, but are widely criticized for indoctrinating students with an extreme version of Islam. At least one of the schools Baseer attended, Jamia Faridia in the capital, Islamabad, has been linked to terror. He said he was in the rear of the attack, in which automatic weapons and rocket-propelled grenades were fired. He said the vehicles were left smoldering and that later the assailants were told two U.S. soldiers were killed, but there was no way of confirming that. Back in Pakistan, Baseer worked as a mosque preacher in the Khyber region, not far from the northwestern capital, Peshawar. He said it was there that he hooked up with a man named Nazir, a commander in the Pakistani Taliban, who was plotting the attack in Lahore. Baseer said he made 10 suicide vests for Nazir. Lahore, a city of around 9 million, has suffered scores of attacks by gunmen and suicide bombers over the last 1 1/2 years. Last month, two suicide bombers killed 43 people in near-simultaneous blasts. Baseer boarded a passenger bus along with the boy, Mohi-ud-Din, heading down the smooth highway to Lahore, where they were supposed to pick up the bomb and grenades. As he sat in Bharawan’s office, handcuffed and dressed in robe and baggy pants, an officer brought in the vest, dropping it on the floor with a thud. The explosive pads studded with ballbearings looked like slices of honeycomb. Also in the evidence bag were 26 grenades. Baseer obliged with a demonstration, miming the yanking of a white cable that would detonate the vest. “My instructors used to say this was the most important weapon in the fight against the enemy,” he said. In the same lockup, a crumbling building built when Britain ruled the Indian subcontinent, police also briefly presented Mohi-ud-Din to the AP. He seemed nervous and tongue-tied, claiming only that he knew nothing about the alleged attack. A freelance journalist and filmmaker has gone missing under suspicious circumstances from the tribal areas around the city of Kohat in the Northwest Frontier Province of Pakistan according to a senior editor for a broadcaster with whom the reporter was working, and a source at Pakistan’s Dawn newspaper. The senior broadcast editor asked that neither he nor the broadcaster be identified out of concern for the safety of the reporter. The Dawn newspaper source also requested anonymity for security reasons. He identified the journalist as freelance reporter and filmmaker Asad Qureshi. According to Dawn, which first reported the story, Qureshi was traveling with two retired officers from Pakistan’s intelligence agency, the Inter-Services Intelligence (ISI). The Dawn source told IPI that Qureshi and the two former ISI operatives had been returning from a meeting with Taliban representatives when they were all intercepted and kidnapped by unknown individuals. The two officers have been identified by local media as Col (R) Imam and Sq Leader (R) Khalid Khawaja. So far, the source told IPI, no group has claimed responsibility. “Everything is shrouded in mystery,” he said. The senior broadcast editor said: “I think we can say that something has happened.” He said that the journalist and the two retired ISI operatives had been believed to merely have been delayed until yesterday morning, when it was suddenly reported that they had gone missing and had been kidnapped. When IPI called a mobile phone number for Qureshi listed on his website, it was switched off. A reporter working in the NWFP told IPI that the son of one of the missing ISI operatives had spoken to his father before the kidnapping, and had been told that the trio would return in about two hours time. They have not been heard from since. The source was not able to confirm the exact time of the kidnapping, but estimated it to have taken place two to three days ago. The North West Frontier Province has witnessed a long-running battle for control between the Pakistani military and tribal and Islamist political factions. On Monday 5 April, forty people were killed and over a 100 injured in a suicide bomb attack at Timergarah of the Lower Dir district in the northwest province. The bomb was planted at a party meeting of the ANP, the Awami National Party, which is in a ruling coalition in the NWFP, along with Pakistani President Asif Ali Zardari’s ruling Pakistan People’s Party. The rising levels of violence have made the region one of the world’s most dangerous for journalists. According to IPI’s Death Watch, in the last two years alone 14 journalists have been killed in Pakistan. Seven of the deaths occurred in the Northwest Frontier Province. In August 2009, Aaj TV correspondent Sadiq Bacha Khan was gunned down in broad daylight on his way to work in Mardan, a town in the province. On 4 January 2009, Muhammad Imran, 20, a trainee cameraman with Express TV, and Saleem Tahir Awan, 45, a freelance reporter with the local dailies Eitedal and Apna Akhbar, were killed when a suicide bomber blew himself up in front of The Government Polytechnic College in Dera Ismail Khan in the North West Frontier Province. And on 18 February 2009, Musa Khankhel, a reporter for Geo TV and the English-language newspaper The News, was shot dead by unidentified gunmen while on assignment covering a peace march led by Muslim cleric Sufi Muhammad in the Swat valley. Kabul, Afghanistan- President Hamid Karzai’s troubling remarks this past Saturday that he would join the Taliban if he continues to come under pressure to reform by the United States and other “outsiders” has caused a stir in Washington DC. Karzai’s comments came a week after President Obama’s surprise visit to Afghanistan at the end of March to pressure Karzai’s government to reform the political system, end corruption, and do a better job of fighting the Taliban. Instead, what Karza delivered was a threat of the worse kind and quite possibly the most offensive and troubling thing one can say to a country that is risking countless soldiers lives daily to secure the country from the Taliban and other militant warlords in Afghanistan. In 8 short years, Hamid Karzai has gone from being the special guest of honor at George Bush’s State of the Union address to a leader who threatened to join our worst enemy. All because he feels that the US needs to stop badgering him to be a more responsible, fair, and an equitable leader as well as an effective partner in fighting the Taliban. Karzai apparently made these unusual comments at a closed door meeting of lawmakers on Saturday, just days after accusing “foreigners” presumably the Unites States of being behind the fraud of the disputed elections of 2009. “He said that if I come under foreign pressure, I might join the Taliban”, said Farooq Marenai, a lawmaker from the eastern province of Nangarhar. Mareni also stated that Karzai appeared nervous and demanded to know why parliament last week rejected legal reforms that would have strengthened Karzai’s authority over the country’s electoral institutions. Several other lawmakers confirmed that Karzai twice threatened to join the insurgency and the Taliban. 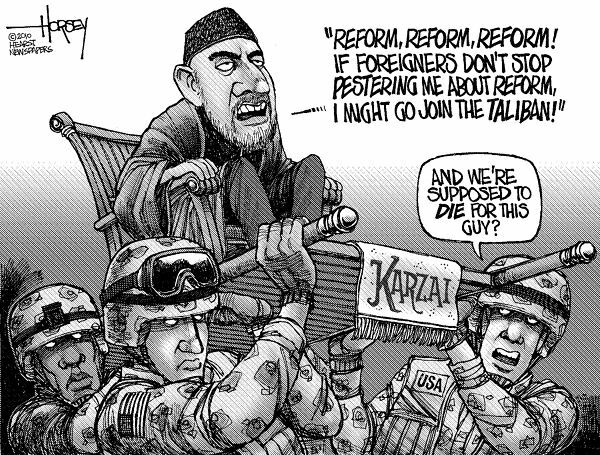 Karzai’s comments are troubling on many levels. First and foremost, he gives legitimacy and strength to the Taliban as his comments present the Taliban as an alternative option to American support or view on the situation. Karzai’s statement will no doubt have traveled the length and breadth of Afghanistan as word will spread that there is a weakness in the American-Afghan coalition that has been fighting and hunting the Taliban since October of 2001, post 9-11. The remarks by Karzai also puts every American, NATO, and Pakistani soldier at risk as instead of liberators, the foreign armies would be thought of as invaders, literally overnight. Lastly, Karzai’s remarks prove to the fact that Karzai is no longer an ally nor a credible partner for the US , NATO, and Pakistani army that have been fighting the Taliban with all their might. There are reports of widespread nepotism, corruption, fraud, looting of the treasuries, and even drug trafficking, as Karzai’s brother, Ahmed Wali Karzai, has been alleged to be a prominent figure in Afghanistan’s world leading illegal heroin production, cultivation and its global distribution. These facts along with his inability to rule effectively and assist the United States in its exit strategy out of Afghanistan by end of 2011 has made the Obama administration weary of dealing with Karzai. Also his typically slow response in instituting political and social freedoms along with a renewed focus in fighting the Taliban, has also been a factor in displeasure from Washington. The Obama administration has refocused on the Afghan war with 30,000 additional troops to help with the war effort and that initial surge has helped the commanders on the ground in running the Taliban out of certain areas. There have also been great recent victories by the Pakistani army to go after the Taliban militants on its side of the border and in helping cut down the bases of support for the Afghan Taliban from the Pakistani tribal areas sympathetic to their cause. So these comments come at the worst possible time when the Taliban are on the run both in Afghanistan and Pakistan and a strong coalition of US-Afghan-Pakistan resistance against them could help eliminate or destroy the militants for good. But instead, the US and its allies are left wondering what to do with Karzai and how much he could be trusted in this tenuous partnership against the Taliban. Peshawar, Pakistan- Taliban militants attacked the U.S. consulate in the Pakistani city of Peshawar on Monday, using powerful bombs and rocket launchers in a sophisticated and daring attack killing 8 people, just hours after a suicide bomber killed 48 people elsewhere in the Swat valley. The attacks came as the United States has increased its airstrikes on targets both inside Afghanistan and Pakistan. The nearly decade long war waged against the Taliban in neighboring Afghanistan since 9-11 has created safe areas inside Pakistan for these militants to regroup and band with Pakistani militants sympathetic to their cause. Often, the militants on the Pakistani side and the Afghani Taliban share the Pashtun tribal and ethnic links among the border areas of both countries. The US bombing of Afghanistan since late 2001 had pushed the Taliban and Al Qaeda militants to the mountains near the border with Pakistan. With help from sympathetic militant tribal warriors from the Pakistani side, the Taliban were able to dig in and have been able to fight the American forces for nearly a decade now. The onslaught by US and NATO forces continues in Afghanistan, but now for most of last year and certainly this year, the war has shifted to the streets and cities of Pakistan. Now, much like Afghanistan, Pakistan too is a country that finds itself engulfed in the flames of religious extremism at the hands of determined and highly disciplined thugs. It used to be back during the Soviet-Afghan War, the only place perhaps not entirely safe inside Pakistan was Peshawar. Now, not one city or town of Pakistan has been spared from the violence by the Taliban. Back then, Peshawar was a city where attacks would happen frequently and often. During the 1980’s, the city became a haven for both jihadi militants fighting against the godless system of communism, and a base for spies as both the United States and Saudi Arabia funded a mujahedeen guerrilla war to defeat the Soviet troops from Afghanistan. President Reagan and General Zia of Pakistan used the fervor of religion to incite able bodied boys and men of Afghanistan and their distant cousins from the border area in Pakistan, along with thousands of volunteer Muslim fighters from across the Arab and Muslim world, to come and fight the Soviet Red Army. It was seen as a duty to come defend a Muslim land from occupation by a regime that would not allow the worship of Allah as communism discourages religion and encourages a sectarian society. That strategy by General Zia ul Haq to promote the fight against the Russians as a holy war or jihad was brilliant at first. It mobilized not just every Muslim male in Afghanistan to stand and fight for his faith and their way of life, while also defending the country from invaders, but it also garnered the sympathy and enlistment of thousands upon thousands of Pakistani and Arab Muslim fighters to join the cause of these mujahedeen, as one who engages in jihad is called. The riling up of religious fervor and militant Islam was deemed necessary by both Reagan and Zia at the time as they sought to defeat the communists at all costs from succeeding in Afghanistan. It would not seem likely at the time, that this very same entity would become enemy number one of both the US and Pakistan a decade later. 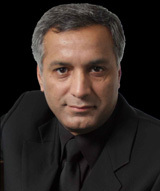 Pakistani analyst Hasan Askari Rivzi stated that “Al-Qaeda and the Taliban took shape later on, but they grew from this period of jihadism against the Soviets and with the initial help of Pakistan, Saudi Arabia along with the military and economic assistance from the United States to fight the Soviets during the ‘80’s. Rizvi sees the roots of the militancy that now ravages Pakistan and Afghanistan as having its beginnings from this period of war against the Soviets army. That war with the Russians lasted almost 10 years. By the time the USSR pulled out all its troops from Afghanistan in 1989, the country had been completely destroyed. What was left of any government or authority of any sort was now held in the hands of a few militias and various warriors who commanded thousands of tribal and other ethnic fighters under them. These militias immediately started warring amongst themselves for more and more control of the country. The already weak, nonexistent central government of Afghanistan, post Soviet pullout was not able to cope and quickly capitulated. During the power vacuum that resulted, Pakistan’s spy agency, the ISI, realized the chance to wield power inside Afghanistan and threw its support behind a religious student movement based out of Kandahar. The ISI had previously assisted the cause to fight the Soviets by helping gather and organize radical Muslims from around the world to come and assist the Afghani mujahedeen in fighting the Soviets and had therefore developed good contacts with various religious groups including the young Taliban students and the fast growing movement. The Afghani population initially welcomed the Taliban as they represented fairness and a rule of law over the notorious corruption, brutality and constant infighting of the warlord militias. Soon, with popular citizen support, along with Pakistan’s help, the Taliban became the dominant group within the country and soon held the seat of power in Kabul. Its leader Mullah Omar, was a friend of Osama Bin Laden and when the US forces came to Afghanistan in the hunt for Bin Laden, he gave the Al Qaeda leader refuge and in essence, became a fugitive of the US in the process for harboring America’s Most Wanted. Fast forward to nearly nine years later as the war in Afghanistan continues against the Taliban and remnants of Al Qaeda responsible for the 9-11 attacks. However, the Taliban have grown and laid roots inside Pakistan also now as the nearly decade long war at the border with Afghanistan has ratcheted up sympathy by locals Pakistani Pashtun tribes for their brethren being bombed by both Pakistani and American forces. 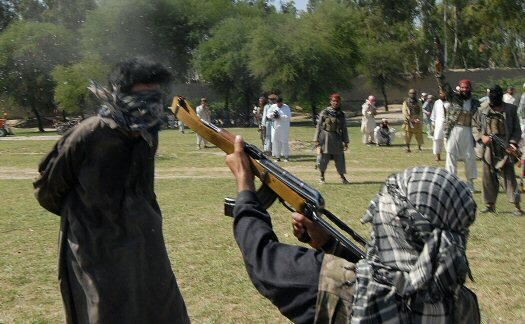 The Tehrik-i-Taliban Pakistan known as the Pakistani Taliban formed soon after the US invasion of Afghanistan and the Pakistani army’s offensive at the tribal areas near the border to combat the militants. The Pakistani Taliban led by the recently killed Baitullah Mehsud, has been largely responsible for hundreds of attacks in all major cities of Pakistan including Monday’s bombing of the American consulate in Peshawar. The war in Afghanistan by the US against the Taliban that harbored and sheltered Bin Laden and the 9-11 killers of Al Qaeda is much the same as the war between the Pakistani army and the Pakistani Taliban in the Swat valley and the North West Frontier Province as well as in various cities of the country. This war has been brought home to the citizens of Pakistan. Over the last few months, bomb blasts in Lahore, Karachi, Islamabad and various other cities have now personalized this conflict for the average Pakistani as no longer a battle or skirmish at the border far away in the northwest of Pakistan near its border with Afghanistan. No, the nearly daily attacks all over the country by the militants on government installations, public institutions like universities, factories and residential areas as well as markets and restaurants has made the country much less safer than at any time in its 63 year history. Many Pakistanis now are beginning to realize that the Taliban, operating with impunity all over Pakistan, pose a much bigger threat to the sovereignty and republic of Pakistan than any threat from anywhere else, including from that eternal archrival to the east, India. It is now well understood by both partners in this fight that only a sustained and vigorous fight taken to the militants inside both countries by the US and Pakistan over a long period of time can hope to defeat this disease known as the Taliban. President Barack Obama issued a secret directive in December to intensify American diplomacy aimed at easing tensions between India and Pakistan, asserting that without détente between the two rivals, the administration’s efforts to win Pakistani cooperation in Afghanistan would suffer. 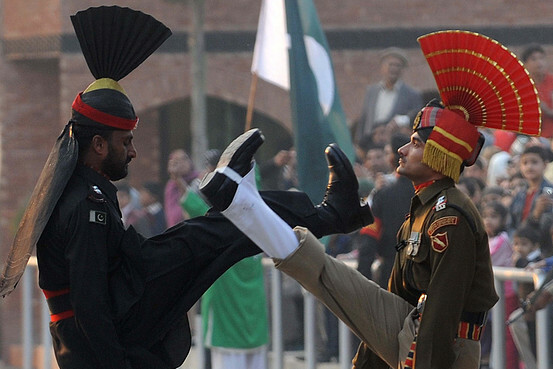 Pakistani Rangers (L) and Indian Border Security Force (BSF) personnel perform the daily retreat ceremony at the India-Pakistan Border at Wagah on December 26, 2009. The directive concluded that India must make resolving its tensions with Pakistan a priority for progress to be made on U.S. goals in the region, according to people familiar with its contents. The U.S. has invested heavily in its own relations with Pakistan in recent months, agreeing to a $7.5 billion aid package and sending top military and diplomatic officials to Islamabad on repeated visits. The public embrace, which reached a high point last month in high-profile talks in Washington, reflects the Obama administration’s belief that Pakistan must be convinced to change its strategic calculus and take a more assertive stance against militants based in its western tribal regions over the course of the next year in order to turn the tide in Afghanistan. A debate continues within the administration over how hard to push India, which has long resisted outside intervention in the conflict with its neighbor. The Pentagon, in particular, has sought more pressure on New Delhi, according to U.S. and Indian officials. Current and former U.S. officials said the discussion in Washington over how to approach India has intensified as Pakistan ratchets up requests that the U.S. intercede in a series of continuing disputes. Pakistan has long regarded Afghanistan as providing “strategic depth”—essentially, a buffer zone—in a potential conflict with India. Some U.S. officials believe Islamabad will remain reluctant to wholeheartedly fight the Islamic militants based on its Afghan border unless the sense of threat from India is reduced. Indian Prime Minister Manmohan Singh has already taken the political risk of pursuing peace talks with Pakistan, but faces significant domestic opposition to any additional outreach without Pakistani moves to further clamp down on Islamic militants who have targeted India. U.S. and Indian officials say the Obama administration has so far made few concrete demands of New Delhi. According to U.S. officials, the only specific request has been to discourage India from getting more involved in training the Afghan military, to ease Pakistani concerns about getting squeezed by India on two borders. India has long resisted outside involvement in its differences with Pakistan, particularly over the disputed region of Kashmir. But, according to a U.S. government official, a 56-page dossier presented by the Pakistani government to the Obama administration ahead of high-level talks in Washington last month contained a litany of accusations against the Indian government, and suggestions the U.S. intercede on Pakistan’s behalf. The official said the document alleges that India has never accepted Pakistan’s sovereignty as an independent state, and accuses India of diverting water from the Indus River and fomenting separatism in the southwestern Pakistani province of Baluchistan. Secretary of State Hillary Clinton has signaled that Washington isn’t interested in mediating on water issues, which are covered by a bilateral treaty. The White House declined to comment on Mr. Obama’s directive or on the debate within the administration over India policy. The directive to top foreign-policy and national-security officials was summarized in a memo written by National Security Adviser James Jones at the end of the White House’s three-month review of Afghan war policy in December. 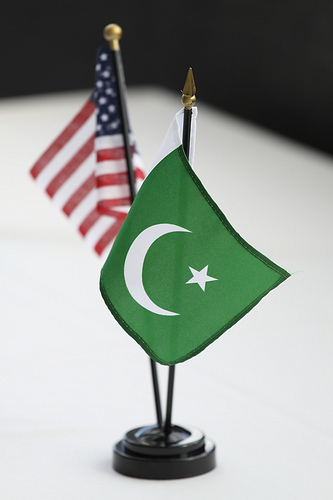 An Indian government official said the U.S.’s increasing attention to Pakistani concerns hasn’t hurt bilateral relations overall. “Our relationship is mature—of course we have disagreements, but we’re trying not to have knee-jerk reactions,” the Indian official said. According to U.S. and Indian officials, the Pentagon has emerged in internal Obama administration debates as an active lobbyist for more pressure on India, with some officials already informally pressing Indian officials to take Pakistan’s concerns more seriously. Adm. Mike Mullen, chairman of the Joint Chiefs of Staff and the U.S. government’s prime interlocutor with the powerful head of the Pakistani army, Gen. Ashfaq Kayani, has been among the more vocal advocates of a greater Indian role, according to a U.S. military official, encouraging New Delhi to be more “transparent” about its activities along the countries’ shared border and to cooperate more with Pakistan. In interviews, U.S. military officials were circumspect about what specific moves they would like to see from New Delhi. But according to people who have discussed India policy with Pentagon officials, the ideas discussed in internal debates include reducing the number of Indian troops in Kashmir or pulling back forces along the border. “They say, ‘The Pakistanis have this perception and you have to deal with the perception’,” said one foreign diplomat who has discussed India’s role with Pentagon officials. An Indian defense ministry spokesman said his country’s army has already moved about 30,000 troops out of Kashmir in recent years. The State Department has resisted such moves to pressure India, according to current and former U.S. officials, insisting they could backfire. These officials have argued that the most recent promising peace effort—secret reconciliation talks several years ago between Indian Prime Minster Singh and then-Pakistani President Pervez Musharraf—occurred without U.S. involvement. In 2001, on the eve of the U.S. invasion of Afghanistan, President George W. Bush gave Pakistan’s then-leader, Gen. Pervez Musharraf, a choice: He was either with us or against us. Musharraf chose to become an ally, but the question ever since has been whether that shotgun marriage can mature into a healthy adult relationship. At times, the prospect has seemed far from reach. The world’s second-most-populous Muslim country is caught in a brutal internal struggle between extremism and moderation. Most of its people tell pollsters they don’t like the United States and wish we’d go away. The tribesmen of its western frontier shelter Osama bin Laden and the leaders of Afghanistan’s Taliban. And the United States can’t forget how, in the 1980s, Pakistan built nuclear weapons — and then later exported nuclear technology to North Korea and Iran. But in recent months, there has been progress in the relationship. Military and intelligence cooperation between the United States and Pakistan has increased significantly. Pakistan has allowed the CIA to increase its missile strikes against Al Qaeda and Taliban targets in Pakistani territory. Pakistani authorities have arrested several Taliban leaders and allowed U.S. intelligence officers to question them. And now Pakistan is offering to increase its own military operations in North Waziristan, the presumed lair of Bin Laden. All that cooperation came at a price, of course: a flood of U.S. military and economic aid. After a series of meetings with Secretary of State Hillary Rodham Clinton, Pakistan’s ebullient foreign minister, Shah Mehmood Qureshi, declared: “I think we are going to move from a relationship to a partnership.” But he used the future tense. In the meantime, there are things to work out. Pakistan is clearly worried about what happens when the United States begins pulling troops out of Afghanistan in 2011. Although Obama administration officials have tried to reassure Pakistan that Washington’s commitment to the region is for the long haul, uncertainty remains. “Our fear is . . . that we get into a fight with these guys [the Taliban], and you walk away, and we’re still there,” a Pakistani official said. Pakistan’s powerful army chief of staff, Gen. Ashfaq Kayani, spent part of his time in Washington visiting Congress with PowerPoint slides to show that Pakistan has committed more troops to its fight against insurgents than the United States has on the ground in Afghanistan, and that it has suffered almost 30,000 killed and wounded in the process. According to U.S. officials, Kayani made a strong case that Pakistan can do more if it gets more modern military equipment from the United States, especially helicopters to ferry troops into the rugged badlands where Al Qaeda and the Taliban hide. The United States has helped Pakistan acquire some helicopters, but not as many and not as quickly as the Pakistanis would like. U.S. officials said they would try to speed the delivery of more. In the past, U.S. officials complained that Pakistan used much of its U.S. military aid to bolster its eastern front with India instead of its fight with internal insurgents; but since Pakistan’s 2009 offensive in the Swat Valley, that criticism has been stilled. The delegation also added a new item to Islamabad’s wish list: a nuclear agreement under which the United States would help Pakistan develop its civilian nuclear energy industry — to mirror a similar U.S. agreement with India, Pakistan’s longtime enemy. The United States told the Pakistanis that would have to wait. The memory of having to clamp sanctions on Pakistan for its nuclear weapons program is still too fresh. But it was a sign of improving relations that the idea wasn’t rejected completely. In 2001, the United States sought a new relationship with Pakistan mostly because it was next to Afghanistan — and thus a country we would need for moving military supplies and basing drones. But that thinking has slowly evolved. In the long run, with its population of 170 million people — not to mention its cache of nuclear weapons — Pakistan is more important than Afghanistan. “We’re engaging with Pakistan because we’re afraid of it,” says Christine Fair, a Pakistan expert at Georgetown University. “It’s the scariest country in the region. Because of Afghanistan, it’s been treated as if it were a subsidiary issue. But Pakistan should be the primary issue.” The Americans are working hard to convince the Pakistanis that they are interested in Pakistan’s stability for its own sake, not just because it’s next door to Afghanistan. The Pakistanis are working hard to convince the Americans that they are committed to defeating the extremists in their midst. It’s not a strategic relationship yet. If it’s a partnership, it’s still a wary one. But that’s progress.